UPDATE 10/17/18: Alaska Airlines service out of Paine Field is expected to begin in early 2019. We’ll be sure to provide an update as soon as we have more information to share. ORIGINAL POST 1/16/18: When Alaska Airlines first announced in May that it would offer new commercial service from Paine Field-Snohomish County Airport, there was one big question: Where will those flights go? It’s time to reveal the routes. Alaska will connect Paine Field to eight destinations along the West Coast with 13 daily nonstop departures starting in fall 2018, subject to government approval. The all-jet service from Paine Field will fly to Las Vegas; Los Angeles; Orange County, California; Phoenix; Portland; San Diego; San Francisco; and San Jose, California. The number of flights for each destination along with departure and arrival times will be announced later in 2018, subject to government approval. The air traffic control tower at Paine Field. Alaska has the most West Coast nonstop destinations of any airline with flights to major business and technology hubs, and incredible vacation spots. And with 15 airline partners, Alaska can take its guests to more than 900 destinations around the world, especially with convenient connections through San Francisco and Los Angeles. “Commercial air service at Paine Field will open up countless new opportunities for both business and recreational travelers in and around Snohomish County. Connecting our county to the rest of the world will be a huge asset as we work to strengthen and diversify our local economy,” said Patrick Pierce, president and CEO of Economic Alliance Snohomish County. Alaska is creating an airline people love with low fares, great value, consistent reliability, award-winning service and a terrific loyalty program. Alaska’s all-jet flying from Paine Field will offer three classes of service: First Class, Premium Class and Main Cabin. Guests will enjoy Wi-Fi connectivity, free movies and TV shows, and free texting. 209 comments on "Alaska unveils 13 daily departures to 8 destinations from Paine Field"
This is very exciting news! Living in north Kirkland, this will alleviate travel to the airport greatly! I would like to add my votes to add the following destinations: Sacramento, CA; Boise, ID; Salt Lake City, UT; Tucson, AZ. Will Alaska consider flights to Spokane, Idaho and Montana from Paine Field? 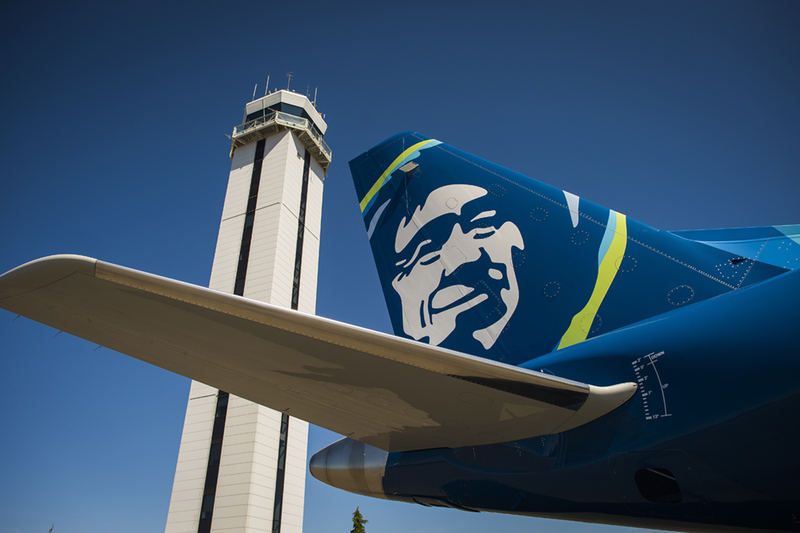 With it being Alaska Air … we expect at least one flight a day TO ALASKA! Seriously! Please consider flights to/from Anchorage. It would be good for folks traveling to norhern Washington who want to avoid Seattle traffic and provides additional options for those connecting to Las Vegas, San Diego and other places. Also could be an option for cruisers going to Vancouver. Easy train ride to Vancouver. I’m really looking forward to the flights to/from PDX. I go to Everett and the North Sound frequently. Can’t wait! Please add Spokane Idaho & Montana!!! Yes & another vote for more BLI routes. Would LOVE flights from Paine Field to Salt Lake City!! Even limited service would be fabulous. Anything helps! The drive to SeaTac fighting through the horrendous traffic is awful. Please consider this route! Please add Sacramento and Oakland (instead of San Francisco) – 4 times a month I use these routes from Seatac………. Here’s another thank you to Alaska for the new Paine Field flights. I also would take advantage of additional flights to and from either Paine field or BLI especially to So Cal, Hawaii, and Spokane. Love the graphic! Maybe in all the excitement the location of PAE in Everett being north of the space needle was forgotten. Thanks for great service & the chuckle of the day! I was really surprised not to see an Everett to St. Louis route. With Boeing at both ends I would have expected it to be a popular flight. It’s sad that you haven taken all he direct flights away from Bellingham airport. As a Canadian I enjoyed flying out of there. Now we fly direct to Vegas and Hawaii from Vancouver on a different carrier. I’m disappointed to say the least. I feel the same way! I really despise the other carrier available in Bellingham and I really don’t like having to shuttle to SEA or YVR. More Bellingham flights would be fantastic! I would like to second (for the 10th time lol), please add Tucson. Please also increase flights out of Bellingham to west coast destinations and give us a connecting option to East Coast! That would be fantastic! I really dislike having to shuttle down to SEA or up to YVR. What is the parking like at Paine Field? When can we start booking flights? Will you be flying over the Kitsap Penninsula? We already have too much air traffic flying over us as it is. Sometimes at 1:30 in the morning, which I understand is a freight flight. All day long, 15 minutes apart a passenger plane flies over us going to SEATAC. Although I am thrilled that we in North Kitsap can take the Edmonds ferry to go to Paine field. Will there be an airport service as well?